I am pleased to announce that several PLoS journals are teaming up for a special issue, titled “Microbiome Across Biological Systems”, and the call for submissions is open! PLoS (Public Library of Science) is a non-profit publisher that fosters open-access and accessibility in science, with a variety of subject-specific journals, as well as the interdisciplinary journal, PLoS ONE. I spend a lot of my time with interdisciplinary science which doesn’t quite fit with any one field, and I appreciate journals which are interested in that intersectionality. In fact, that’s what this call is about: looking at whole microbial communities at the intersection of ecosystems, at multiple trophic levels, and where the science is interdisciplinary. I am currently an Academic Editor at PLoS One. I’m acting as a guest editor on this open call, and I look forward to curating this exciting upcoming issue! Submit online by August 6th. I’ll be teaching a new course for the UO Clark Honor’s College this summer! This colloquium course introduces students to current knowledge on selected host-associated or human-associated microbiomes, and uses that base knowledge to discuss their relevance to human health in the context of social equity. Example topics include the effect of diet on the microbial community in the gut and the importance of nutrient composition of free school lunches; maternal stress and the effect on offspring physiology, immune development, and host-microbial interactions; microbial communities in air, air quality, and income-based housing; building quality, indoor microbiology, and enforced occupancy (ex. prisons or public schools); and more. Guest lectures from relevant experts will be included as possible. Some background in microbial ecology, genetics, anatomy, immunology, or sociology would be helpful, but is not required. While difficult concepts will be discussed, the course is intended to teach students about the basic principles and how to apply them to contemporary social issues: what is a microbiome? How does host anatomy and health drive microbial ecology? How does environmental microbiology and building microbiology contribute to or impinge on health? When we read about host-associated microbiomes in the news, especially regarding health, how can we assess if the study is rigorous and how should we interpret the scope of the findings? The skill-set objectives include learning to review scientific journal articles, distilling their findings while understanding their limitations, and developing science communication skills via written assignments and in-class discussions. In case you missed it live, you can stream my interview with Geoffrey Riley at the Jefferson Exchange. 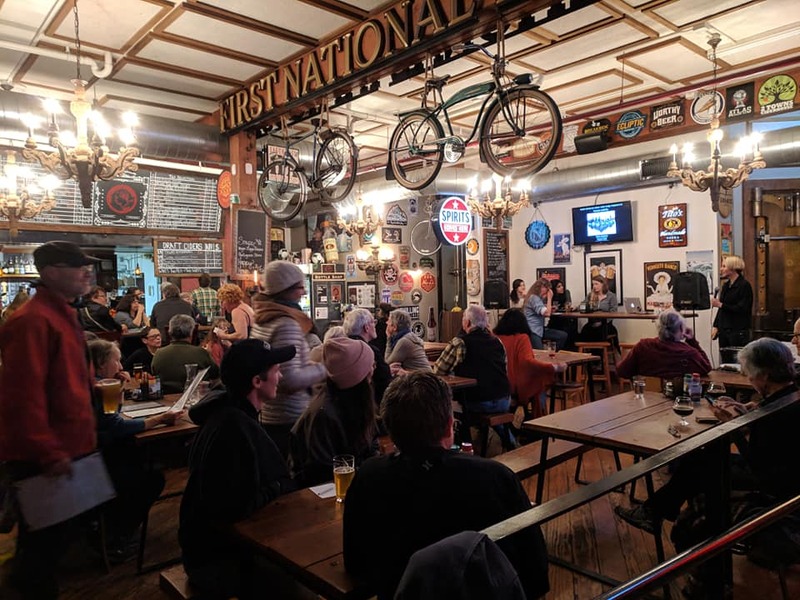 We talk about how to go from researching microbes in the rumen stomach of moose to researching the effect of building surface materials on microbes living in your dust, sharing microbes and knowledge through science communication, and the importance of diversity and inclusion in science! I’ll be speaking with the Jefferson Exchange crew on their live radio show about my work on microbiology in the built environment! I’ll be on March 11th, at about 8:30 am PST. If you are local to the west coast, you can find a station to tune into. Otherwise, you can stream the segment live on jeffexchange.org. Have a question? Call into the show at 800-838-3760 or email JX@jeffnet.org. Jefferson Exchange is also on Facebook and Twitter @JeffExchange. review current literature on host-associated microbial ecology. As always, include plenty of humor. While I’ve taught similar material at Montana State University, and have plenty of teaching experience from my graduate teaching assistant days at the University of Vermont, I’ve learned that each student population is different, with a unique core knowledge base and interests. Thus, I developed this course from scratch, and constantly revised it during the semester to adjust to the pace and learning style of my students. A draft syllabus, as well as an example of a student’s final project, can be found on my GitHub. To improve engagement, I tried to make the course (which did not have a lab section) more interactive. I offered a tour of the molecular biology lab I work in, I brought agar plates to class so students could try culturing their own microbiota, and I dressed up like a dead cat. I brought culture plates to class to give students a chance to try growing microbes. I lectured about the discovery of DNA and the work of Rosalind Franklin while wearing a t-shirt with her face on it. What better way to learn about host microbiota than an anatomically-correct, dissected-cat costume? These students were not science majors, and had had very little science since high school. 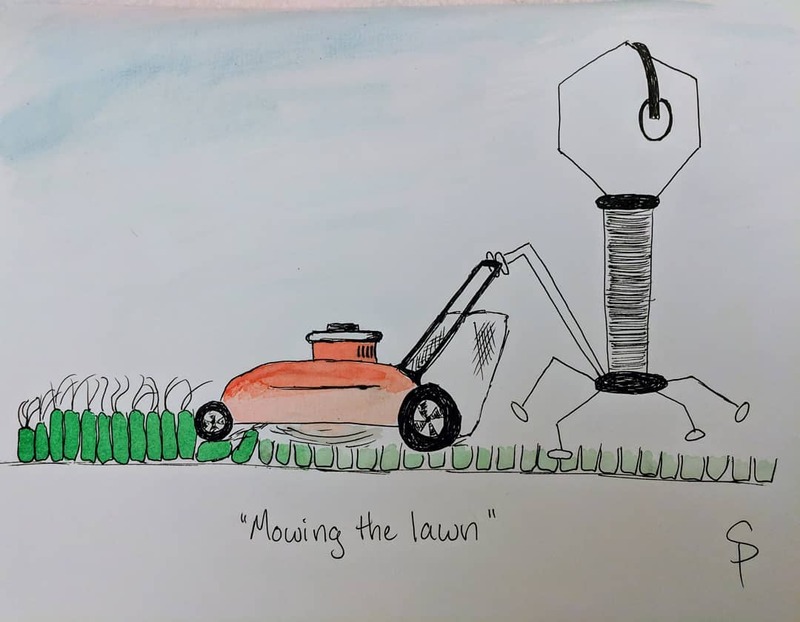 Even if they had been science majors, I wanted to give a broader look at the field of science than just giving an overview of current knowledge. At the end of some lectures, I facilitated class discussions on various topics in science: the role of scientists in communicating science and whether we should report only or have an obligation to convince the public; elitism, recognition, and credit for intellectual property in a highly-collaborative working environment; the transfer of maternal microbiota and health status to offspring and how we approach prenatal care and parental leave; air quality (and air microbiota), residential zoning in urban areas, and income inequality; should we eat dirt?, etc. The students enthusiastically participated in class discussions, and — to my surprise — requested more (see below). 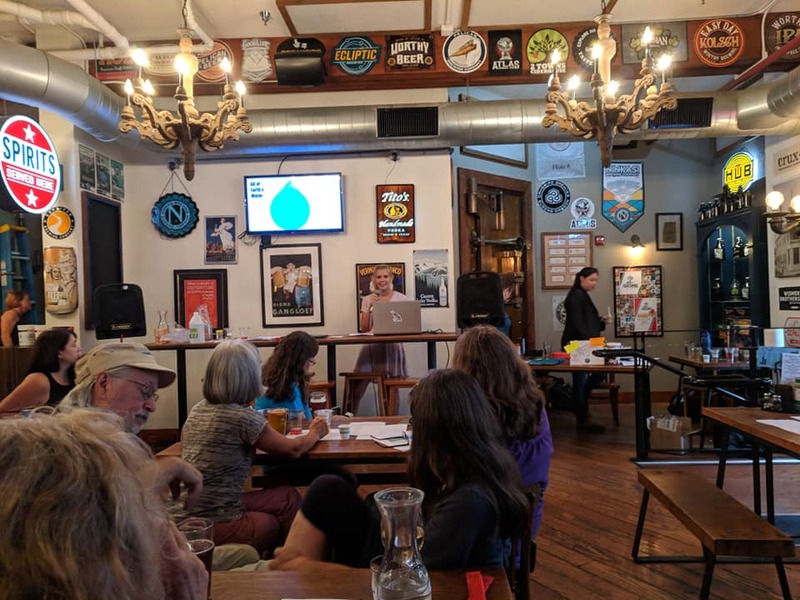 I wanted to highlight current research in host-associated microbiomes, and hosted three mini-lectures from guest researchers; Deepika Sundarraman, a graduate students in UO physics, Dr. Candace Williams, a postdoctoral researcher who Skyped in from Vienna, and Dr. Edward Pajarillo, a postdoctoral researcher who Skyped in from Florida. Students wanted more in-class discussions, and more group-based work, which was surprising to me as science students tend to prefer fewer of these, or at least the option to opt out. I am already considering additional topics for discussion next year. While there was an option on the final to submit a group project, no one chose to pursue that. Similarly, students were able to work collaboratively on journal article summaries to improve their comprehension, provided each student submitted a unique response. Perhaps this option simply needs to be reiterated. What surprised me most about the evaluations was that several students replied that (the second half of) the course was not challenging enough. The course content was entirely new to them, and while the assignments drew on skills from their core competency as humanities students (reading and writing), they were required to distill large amounts of scientific information and be able to explain it back to me. It’s a challenge to serve the learning speed and style of all students in a class, and I try to manage this by varying the format of assignments, as well as to teach skills in the first part of the class which can be refined with successive assignments. An example of this was the final project, for which the students needed to create a public outreach presentation in the format of their choice (essay, poster, pamphlet, presentation), which covered a particular topic or discussion point on host-associated microbial communities. Students were able to draw from scientific article summaries they had previously written, or even material from their exams (take-home essays), provided it was more developed and presented in a new and creative way. This flexibility allowed students to choose topics that they were passionate about, and to focus on the message rather the format. I felt this would help them find their voice, and judging by the final projects I received, it was effective. That being said, if humanities students thought the material too easy, I take credit for communicating it well. I’m pleased with how the course turned out, as well as with the feedback I received from students. I’ve already begun implementing upgrades to my curricula, and have proposed this course again to the Honors College. Pending approval, I’ll be back at it next year! three years since I started this blog, I’m not starting a new job! I’ve been at BioBE for a year and a half, and it’s a relief to be in an academic position long enough to finish the projects you started (I’m only just starting to submit some manuscripts for work I did back in Montana). Two papers of mine were published this year, including one on the bacteria along the GI tract of calves, one on the effect of dietary zinc on bacteria in sheep. A comprehensive culturing initiative of rumen microorganisms, called the Hungate 1000 Project, an international initiative to which I contributed data, was also published. That puts me up to 17 scientific articles, of which 9 are first-authored, as well as 5 scientific reviews. I have three manuscripts in review right now, and another five being prepared – 2019 will be a busy year. I joined two journal editorial boards this year, PloS One and Applied and Environmental Microbiology. Both positions are as an Academic (or handling) Editor; I will oversee manuscript review by soliciting reviewers, assessing their recommendations, and interfacing with authors. In recent years, the gender discrepancy in science has received more attention, and some journals are making efforts towards increasing the number of female editors, reviewers, and contributors to reduce implicit bias in science publishing. I am pleased to be in a position where I can help change that! 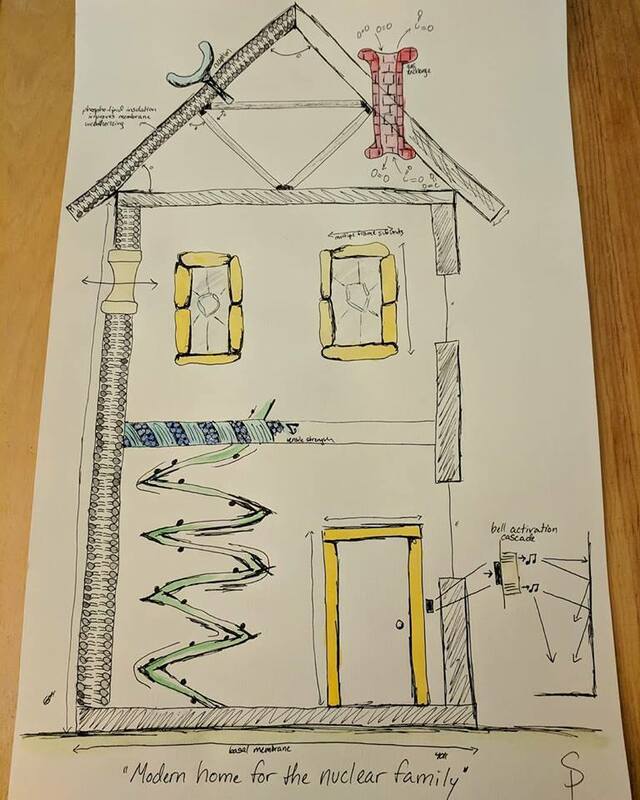 I’ve been spending a lot of time writing grants and developing potential projects on microbiology and health in the built environment, many of which should be moving forward in 2019. I’ve also been spending time training the 9 undergraduate students I hired over the summer and fall to work at BioBE. In addition to microbiology and molecular biology laboratory skills, I have been training them on DNA sequence analysis and coding, scientific literature review, and science writing and communications. This fall term, I taught Introduction to Mammalian Microbiomes for the University of Oregon Clark Honor’s College. I proposed this new course last year, and developed the curricula largely from scratch. I’d previously taught some of the subject material at Montana State University in Carl Yeoman and Seth Walk’s Host-Associated Microbiomes course; however in IMM I was teaching to non-science majors. The course went well, and I’ll be diving into it in detail with a full blog post in a few weeks. I proposed the course again for next year, as well as another new course; Microbiology of the Built Environment. What better way to learn about host microbiota than an anatomically-correct dissected cat costume? 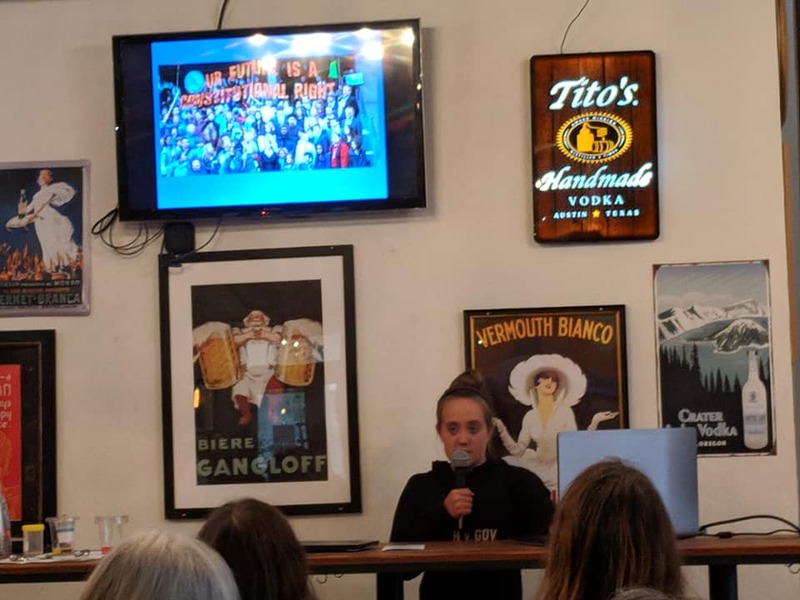 Early in the year, I gave two public talks on the gut microbiome for Oregon Museum of Science and Industry; one in Eugene and one in Portland. Both were a lot of fun, and I really enjoyed getting to share my work with the public. In May, the research group I am part of (the Institute for Health in the Built Environment, comprising the Biology and the Built Environment Center, the Energy Studies in Buildings Laboratory, and Baker Lighting Lab) hosted a mini-conference in Portland in May; the Health and Energy Consortium 2018. I presented some results on how some home factors affect the bacteria community found indoors, as well as brainstormed research ideas with industry professionals and researchers. At the end of the spring term, I also presented at the University of Oregon IDEAL Framework Showcase. Over the 2017/2018 academic year I served on the Implicit Bias working group, tasked with assessing the need for campus-wide training and making recommendations to the college. In June, I attended the HOMEChem Open House at the UT Austin Test House, University of Texas at Austin’s J.J. Pickle Research Campus. I got to tour the amazing indoor chemistry labs there, and met with BioBE collaborators to discuss pilot projects exploring the link between indoor chemistry and indoor microbiology. In July, I had a double header of back-to-back conferences, both of which I was attending for the first time. The first was Microbiology of Built Environment 2018 Gordon Research Conference in Biddeford, ME, followed by Indoor Air 2018 in Philadelphia, PA.
MoBE 2018 was an intensive meeting that brought together the top names and the rising stars of MoBE research. Gordon conferences are closed-session to encourage the presentation of unpublished data and ideas, and to facilitate discussion and theoretical contemplation. While in Biddeford, I had the opportunity to eat seafood, visit friends, and check out Mug Buddy Cookies!! Immediately after MoBE, I flew to Philadelphia for the Indoor Air 2018 conference. I again presented some of the work I’ve been part of, exploring the effect of weatherization and lifestyle on bacteria indoors. I also found some incredible shoes. Then, in August I went to Leipzig, Germany for the 17th International Society for Microbial Ecology (ISME17). Here as well, I presented some of the work I’ve been part of, and had the chance to revisit a city I haven’t been to in 5 years – since the last microbial ecology conference held here. I spent a great deal of 2018 participating in activities for 500 Women Scientists. I am a Pod Coordinator for the Eugene Pod, and as such I meet regularly with other Coordinators to plan events. The majority of our 2018 events were Science Salons: science talks by local female researchers around a particular theme, with a hands-on activity to match, and a Q&A session about life as a (female) scientist. 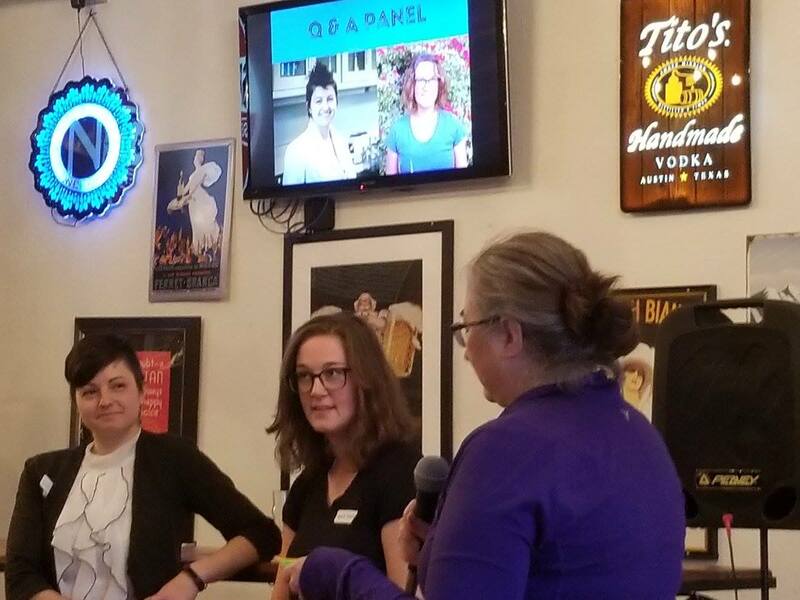 We heard about some awesome research, raised $1300 for local science non-profits, and learned how to be better community members by sharing personal stories about the triumphs and troughs of being a woman in science. Hannah Tavalire and I talking about ‘Gut Stuff’. 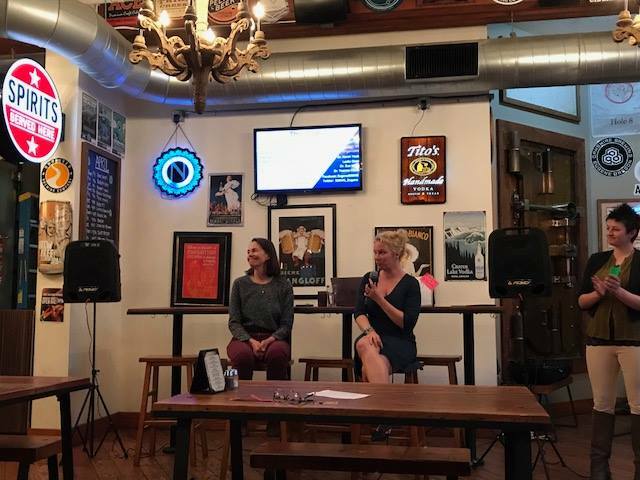 We also hosted a film screening of My Love Affair with the Brain, generously lent to 500WS by Luna Productions, followed by a panel discussion of women neuroscientists here in Eugene. 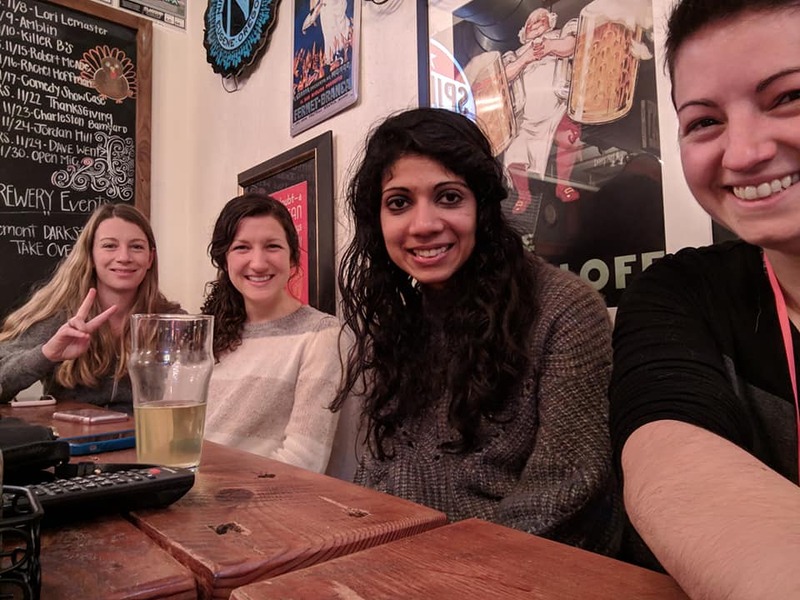 Along with two other Eugene Pod Coordinators, I wrote a small proposal which was funded, to coordinate workshops at UO: “Amplifying diverse voices: training and support for managing identity-based harassment in science communication”. Those workshops will take place in 2019. This year, I acted as a judge for several robotics competitions and STEM design projects for local schools, I even dressed up as a giant spider to throw corn starch at campers. You know, for the kids. 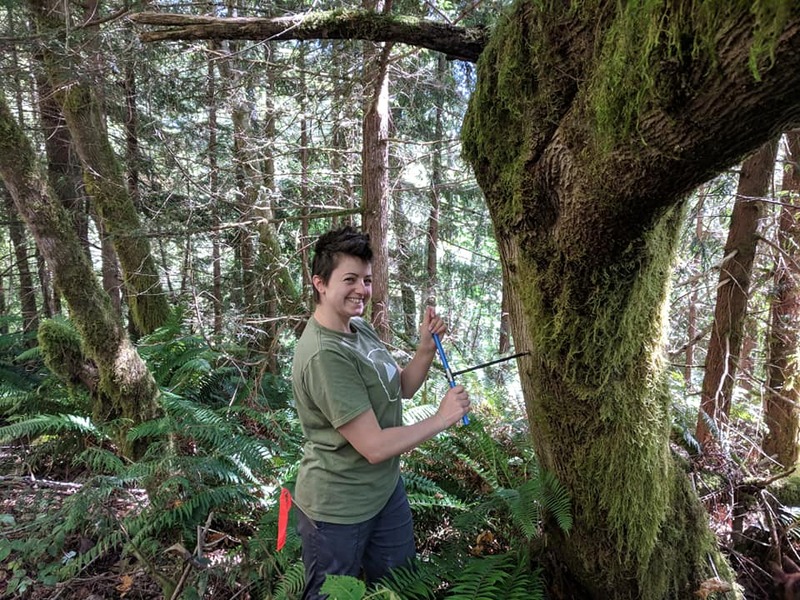 I again participated in citizen science through Adventure Scientists, as part of their wood crews for the Timber Tracking 2018 campaign. 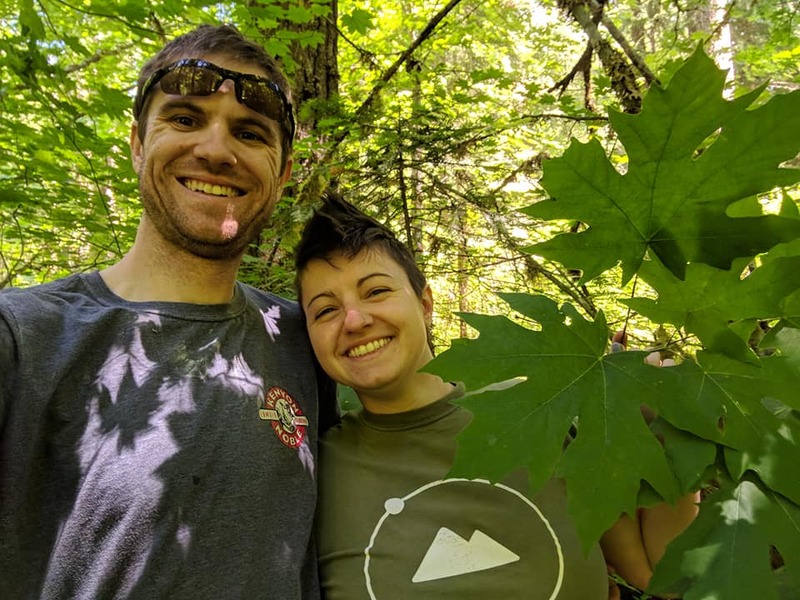 Lee and I drove around a 20,000 sq mi section of southwestern Oregon to collect samples from big leaf maple trees at 10 locations which adhered to certain sampling parameters. 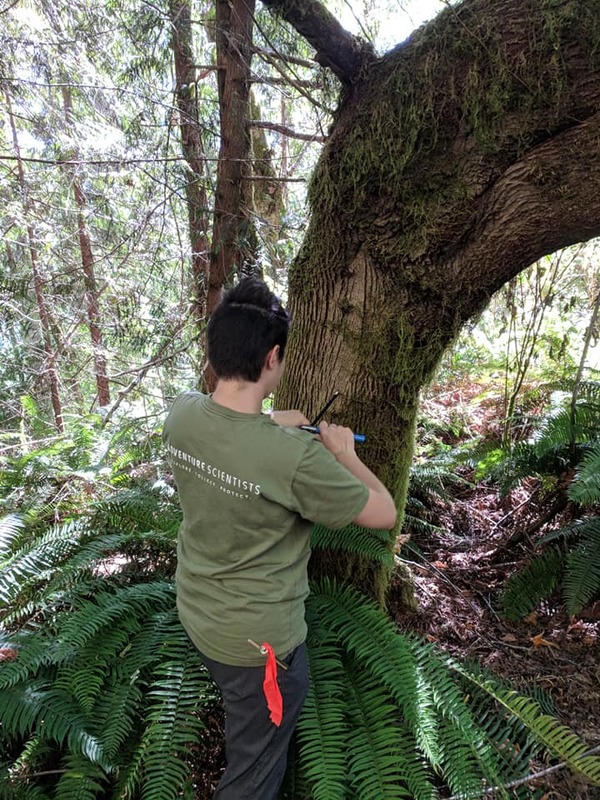 Despite the large number of big leafs in Oregon, the sampling criteria made it difficult to find the perfect tree in an entire forest, and we logged a lot of mileage. Lee and I also volunteered for their Gallatin County Microplastics Initiative while we lived in Bozeman, MT. 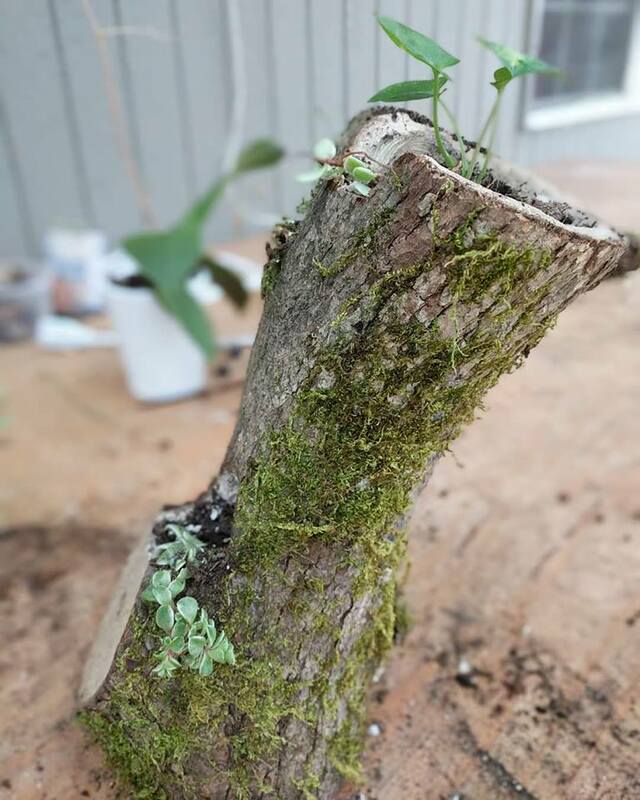 I published 30 posts this year! The most popular post this year continues to be Work-Life Balance: What Do Professors Do?, self explanatory, and the least popular this year is Show Me the (Grant) Money, detailing the grant proposal writing process. Although, I was significantly less wordy this year as compared to other years. As of today, my site received 4,447 view from 97 countries and 3,101 visitors in 2018. So far, I’ve published 109 posts, and received 6,147 visitors who viewed the site 9,481 times. It’s easy to forget how many life events go by in a year, unless your social media is making you a video about them. But they were all important parts of my life and had some impact, however negligible, on my work. The one I’m most proud of was officiating the wedding of two dear friends, in Vermont. I marched (seriously and facetiously) for science. Lee and I picked up trash at the beach, using a sieve he built to pick up trash. 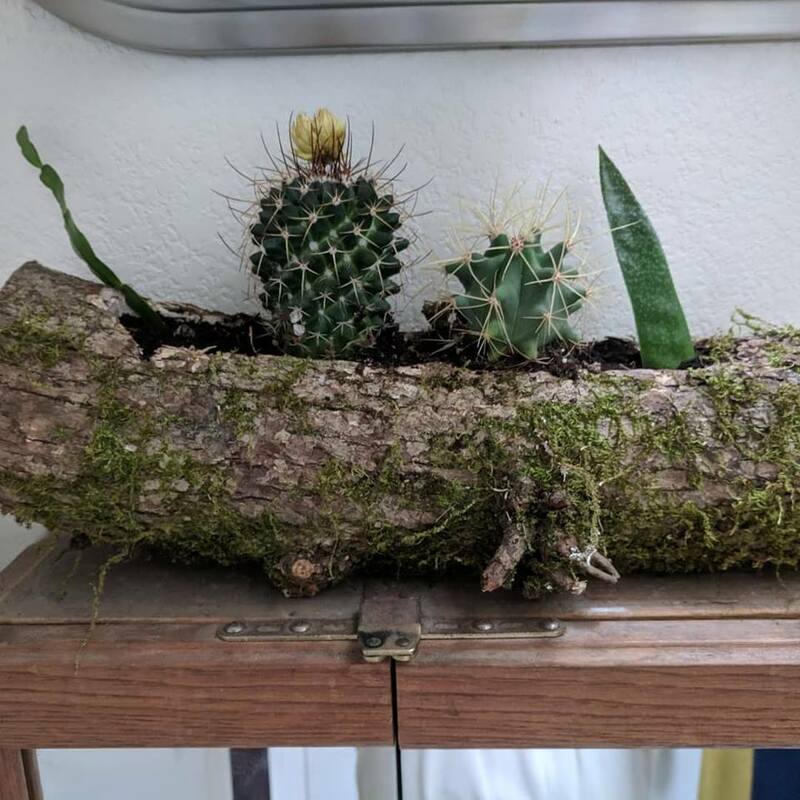 I tried to spend more time on creative projects, including getting back into art after more-or-less tabling it for several years. As usual, 2019 promises an abundance of opportunities. Already, I am planning out my conference schedule, seeking speakers for upcoming 500WS Science Salons, and writing, writing, writing. But through all of it, I will be trying to cultivate a more open, inclusive, and supportive work environment. In 2018, after more than a decade of trying to convince doctors that I should have agency over my own organs, I was finally approved for the hysterectomy that I’d wanted for so long, and the medical diagnostics to show that I’d actually needed it for probably just as long. The surgery has dramatically improved my quality of life, and the scars are a constant reminder that you never know who is dealing with something in their life that isn’t visible to you, who is trying to pretend they aren’t in pain because they can’t afford to take time off to resolve their situation. At first, I kept the details to myself and I kept it off my professional social media. I did share, in exquisite detail, on my personal social media, and was flooded with similar stories from other women. It encouraged me to share a little more, after all, if I’d had surgery on a knee or a kidney I would talk about it openly, why not a uterus? In a typical semester, one to two-thirds of the students that I teach or mentor will disclose that they experienced a serious life event, most often while at school. They may casually joke about how they couldn’t get time off or almost failed out that semester, or recall how receiving help saved them. I take my role as an educator, mentor, or supervisor seriously – the competition in academia forces students to work long or odd hours, to prioritize other things over study, to accept positions of low or no pay “for the experience”, or to accept professional relationships where they are not respected or may be taken advantage of. I have always tried to be a supportive mentor to students, but the higher up the ladder I climb the more important it is for me to set a good example for these students who will one day mentor people of their own. In addition to listening to them, and having frank conversations, my response this year has been to get rid of student employee deadlines whenever possible. We are asked to do so much with our time in school, or in academia, but there are so many hours in the day. Sure, I routinely wish things were accomplished more promptly, but I have never once regretted not causing someone to have a breakdown. And constantly telling my students to take care of themselves first and work second reminds me to do the same, it benefits my work , and it’s made a certain furball very happy. Happy New Year!